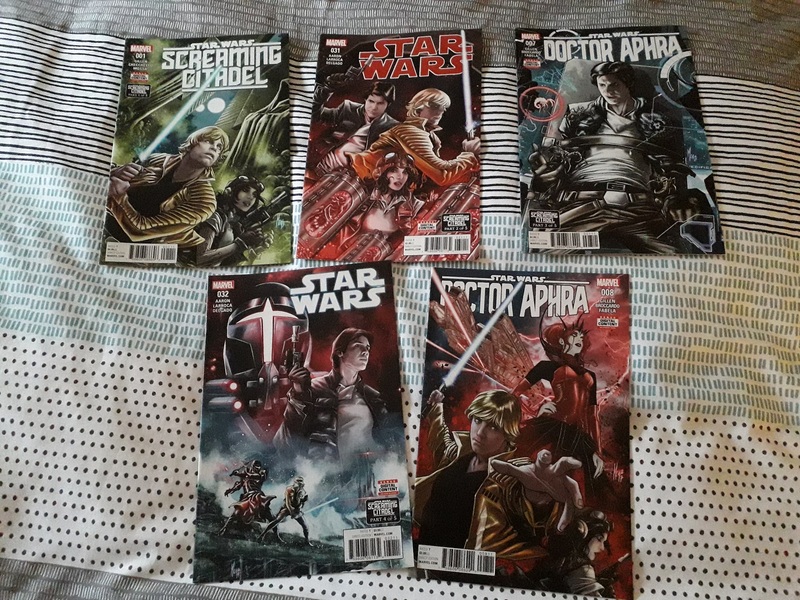 I’ve not given a tremendous amount of thought to the actual viability of having these guys join the fray, it’s more about seeing what they can do. The Troupe build is basically from the original six clowns that I built for Shadow War, so hasn’t really been thought of in terms of 8th Edition. I’ve added in a Starweaver for transport, and the good thing about building it that way is you get an additional miniature in the shape of the Voidweaver gunner, so I’ve built him as a separate Troupe Master to avoid having to use one of the regular Players. Finally, I’ve added in a Shadowseer, because I have pretty much never played in the Psychic Phase, and wanted to see what all the fun was about. 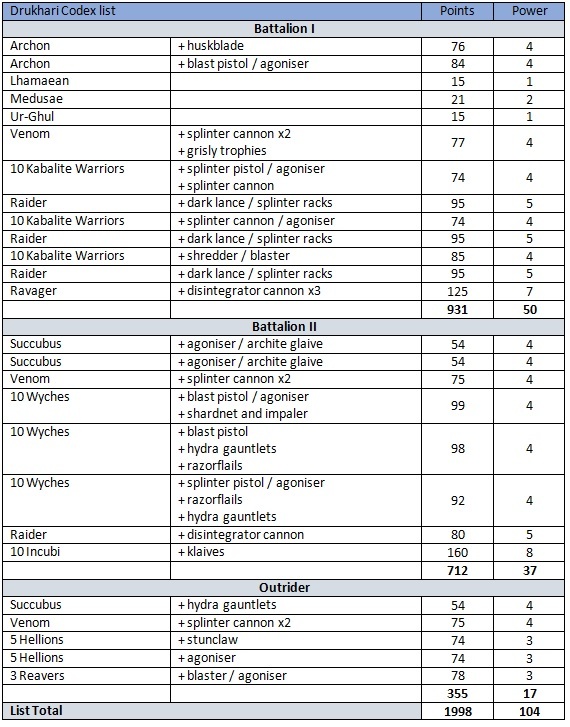 Adding in a second HQ allowed me to bring the list to 2000 points, exactly, rather than using the leftover points to add more Wyches or else buy a Skyweaver kit. 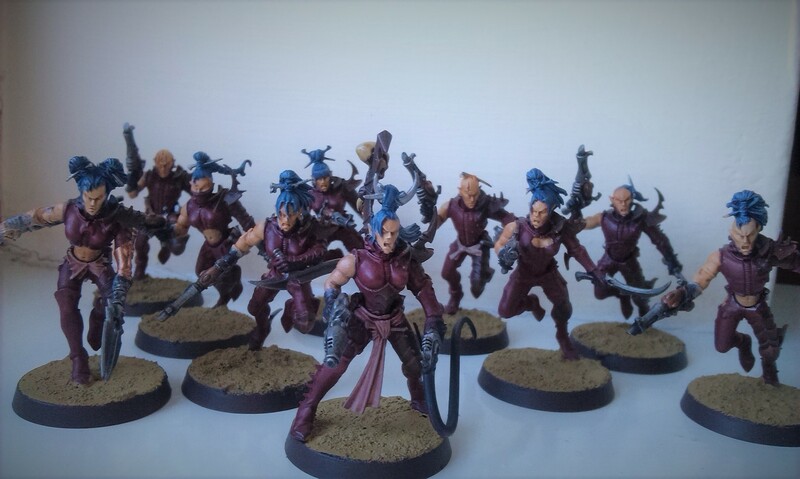 So I need to get myself a Shadowseer, then I can look at actually painting these minis up! 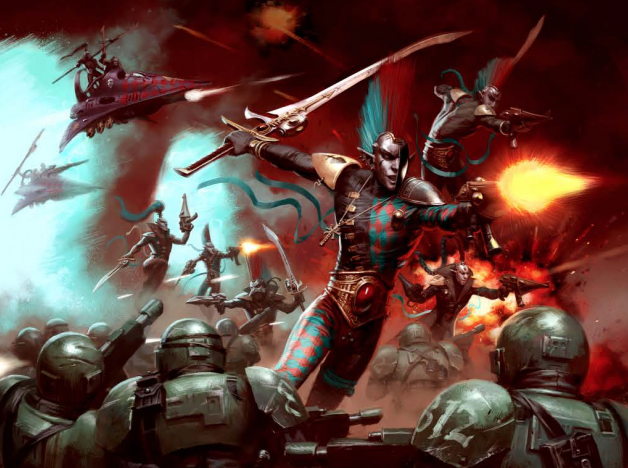 Author spalanzPosted on April 22, 2018 Categories WarhammerTags Dark Eldar, Drukhari, Eldar, Harlequins, Warhammer 40k1 Comment on Enter the clowns! 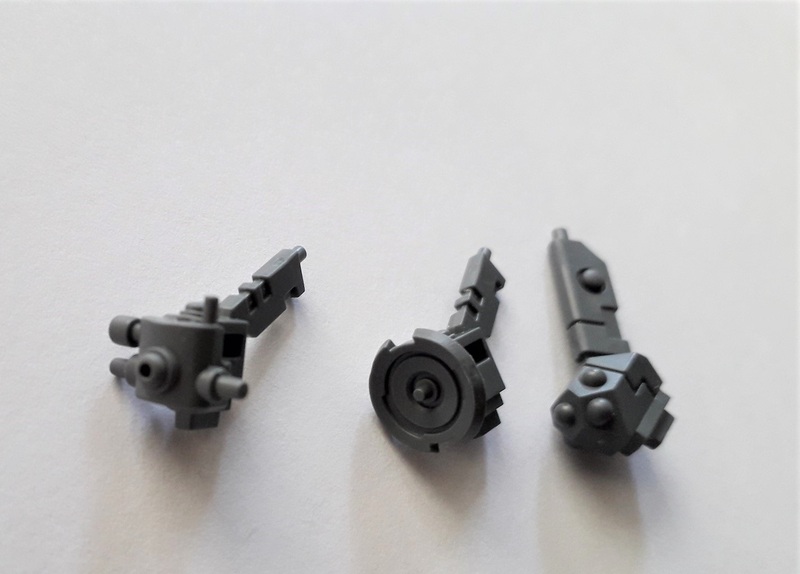 So, one of the things I wanted to achieve with this post was to share the fruits of my labours in researching what all of the various bits and bobs are that you find in the various Tau kits. Having spent many a long and drawn-out hour trying to discover what part represents a certain support system, for example, I thought I’d try to pull all of that together here, both for my own future reference, and also in the hope that it might help any budding Commander out there! 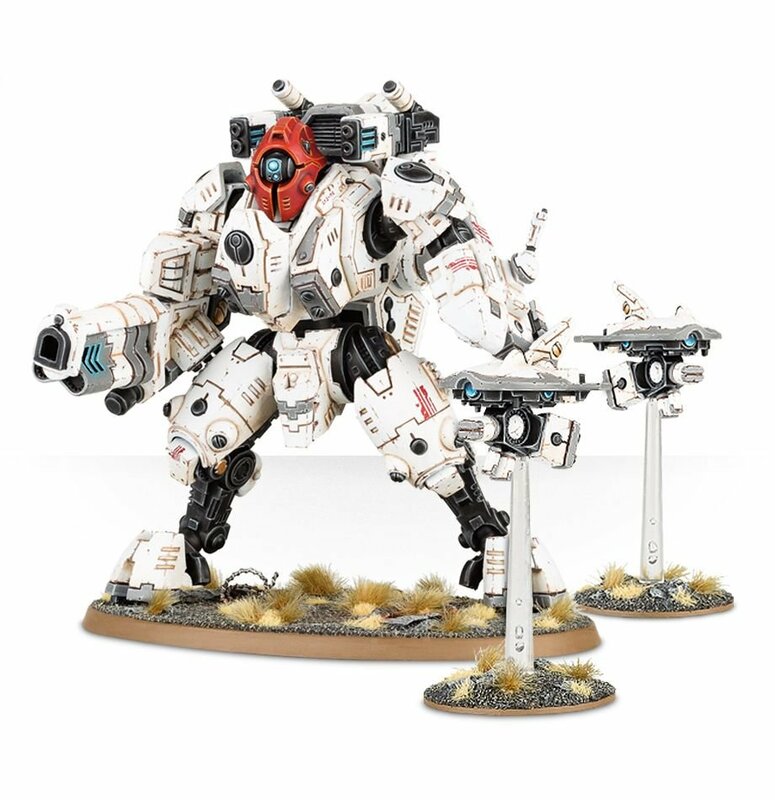 Speaking of which, let’s start with the Commander kit, which has all manner of bits that you can use to kit out not only the warlord for your army, but also any Crisis Suits that you want to field, and even some of the bigger stuff like Ghostkeels and Broadsides. It’s definitely worth getting hold of at least one Commander, not least because he’s actually a really awesome model, but because of this cross-pollenation that you can have. As far as the support systems go, however, we get three of them in this kit, along with an older piece that is still around, just no longer classed as a support system. From left to right, then, we’ve got the Shield Generator, the Target Lock, the Velocity Tracker, and Positional Relay. That last is now a 2CP stratagem. These bits are numbered 66, 48, 50 & 51, and 49. From left to right again, we have a Counterfire Defence System, an Early Warning Override, and a Multi Tracker. The Multi Tracker is a single part (73), whereas the other two are made up of the stalk-piece, and the face-piece. There are two stalks (part 75), and the pieces to make one Early Warning Override (part 76), one Counterfire Defence System (part 77), or one Velocity Tracker (part 78, not pictured). We’ve now seen six of the eight support systems, so where are the other two? 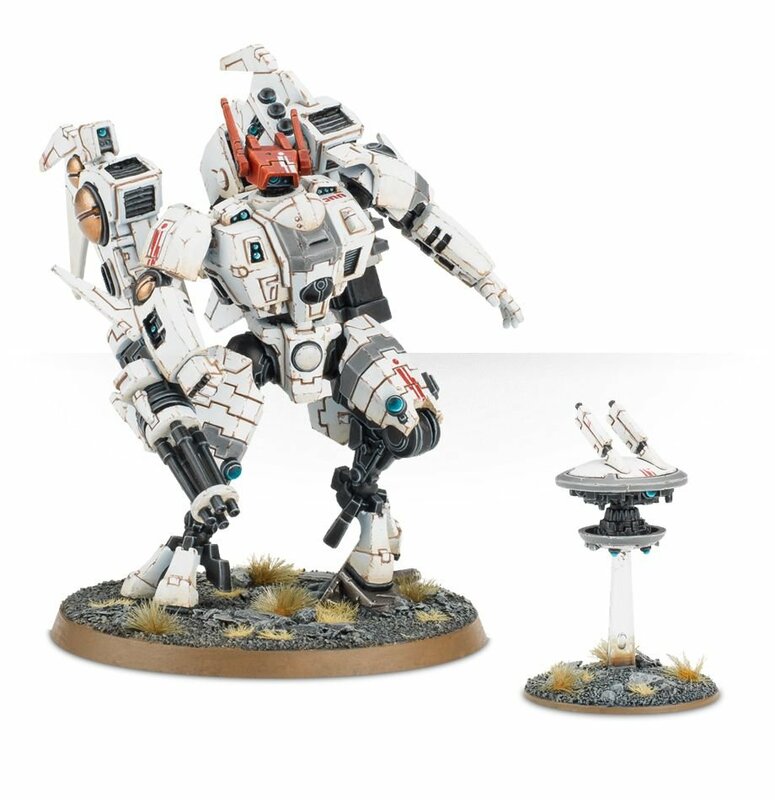 In addition to having parts for an Early Warning Override (parts 72 & 73 on the sprue), the Ghostkeel is the only miniature in the plastic Tau range that has the Drone Controller bit, which is the little bulb-and-antenna you can see on its left arm in the picture above. Which leaves us with the final piece of support system tech, the Advanced Targeting System. Well, that doesn’t actually have a bit for it in the range, and while I’ve seen some people use leftover XV8 heads with an antenna glued on, others will argue that it’s more software than hardware anyway, so would be hardwired into the suit itself. For those of us who like to go for a little more modelling fun, though, I suppose you could use anything with antennae stuck onto it to make it look the part! So there you have it, the list of Tau Support Systems that are on offer from the plastic range. 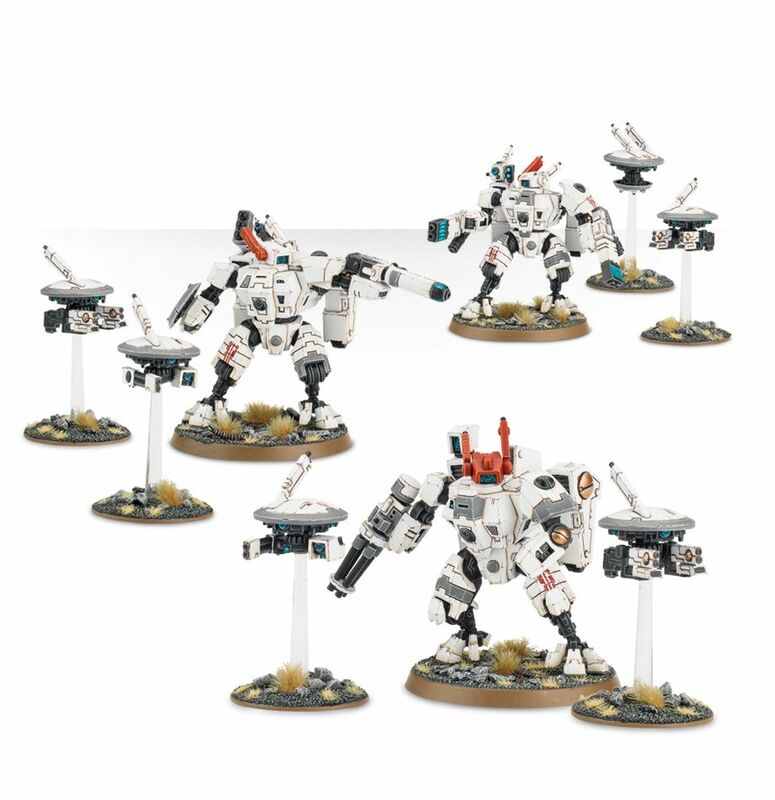 It’s worth pointing out that you can also get these bits in the Broadside and Riptide kits, and while I don’t have one personally, I think the Stormsurge also has a couple of things in there. 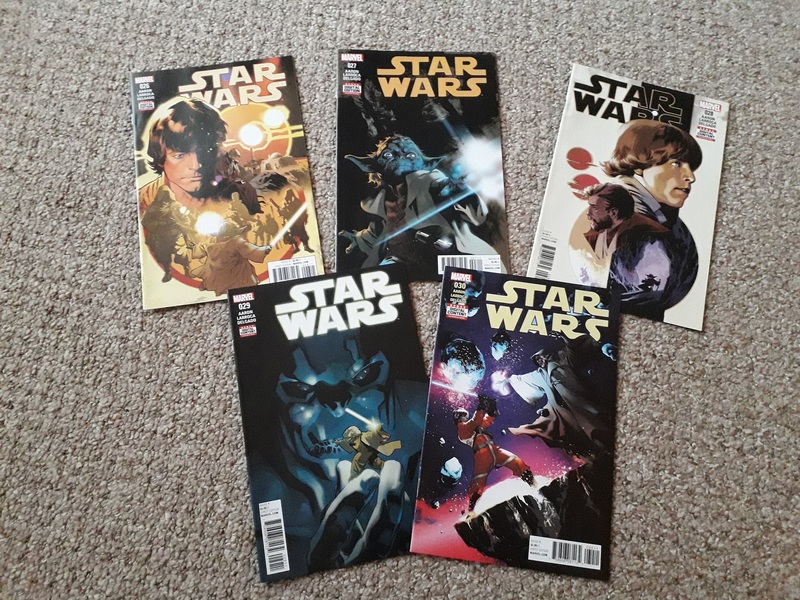 It’s time once more for a games day blog! 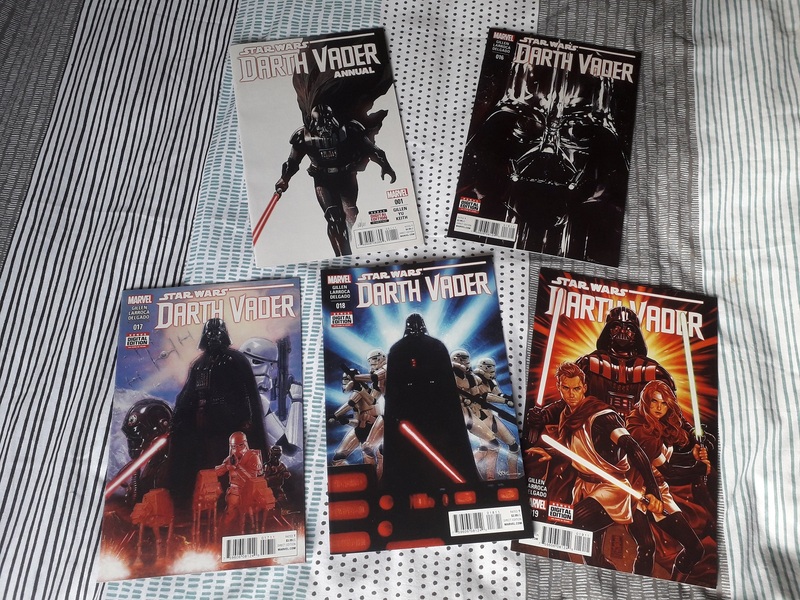 Well, it has been some time. I wanted to talk about my experiences with playing Tau for the first time a couple of weeks ago, and my thoughts on both building the models and building my army. So I’m going to ramble for a bit about Tau – sit back, and enjoy! My 1000-point list was, I think you’ll agree, slightly odd-looking. Well, that’s because I don’t know what I’m doing with Tau, and the list was built very much along the lines of, let’s throw some stuff together and see what happens. I was playing with Bork’an Sept rules, adding 6 extra inches to rapid fire and heavy weapons, with the Seeker of Perfection warlord trait, which adds 1 to the wound roll for each hit of 6+. Finally, I was using the Puretide Engram Neurochip relic to gain a command point on a d6 roll of 6 when an opponent uses a stratagem. Nice! I have to be honest, though – I’m not sure how I did in that game! I think I managed to get the hang of certain things, and I could definitely see how the army wants to play after a couple of rounds, but I don’t really know if I won or lost. I was playing my usual opponent Robin, though this time he was playing Inquisition rather than Orks, which was a turn up for the books! We played Burn & Pillage from the Open War cards, and the Twist we drew was Double or Nothing, drawing two extra cards: Acid Rain (yay) and Meeting Battle, which divides the armies into three (each), and one of these chunks is brought on each round. That was useful as it allowed me to bring on my army in small doses and get used to it that way. The game went fairly okay, I think. I’d set up in the middle, and brought on the Pathfinders and Pirhana first. The Pirhana was quite useful as a melee tool, something I didn’t think I’d do with Tau. The Pathfinders probably could have been used better, but I suppose I was just getting used to them! I then brought on the Breachers, the Ethereal and the Devilfish (which had the Strike Team inside – not the Breachers! Whoops!) For the third deployment, I brought on my Commander and the Crisis Suits. I think my main take-away from the game was that Marker Drones are very useful, but the Pathfinders are a much cheaper source of Markerlights, so I should use them to light up the field each turn, rather than worrying about saving their pulse carbine shots instead. I couldn’t quite get my head round to the idea that the bodies should be doing something useful, while the drones should be left to paint targets on everything. That clearly isn’t the way to go! I like the idea of a gun-line, but I was a bit all over the place during this game due to the nature of the Open War cards. I think for my next game with them, I’d like to deploy as an actual gunline, and use some Fireblade support to get an extra shot off. Indeed, I want to look heavily into supporting the idea of a Tau gunline force, and have been tinkering a great deal with my list over the last few weeks. The Coldstar Commander is something of an all-star, really, though I feel like I used him badly. The ability to advance 40″ across the field is actually really good, but I wasn’t making nearly as much of it as I should have been. He’s modelled with a Target Lock, as well, so there’s no excuse not to be dashing about and firing that high-output burst cannon all over the place. Definitely one to use again in the future, that! The Crisis Suits are an iconic part of the army, for me, and I really want them there at the centre of all things. However, I once again did barely anything with them – I think the accompanying drones did more damage than these guys when it came to the battle! I think the fact they were the single most-expensive unit in the army made me a little over-cautious, and I ended up doing very little with them. So I think I need to re-evaluate my options for the future, there! I’m currently thinking a lot about playing larger-scale games, as I haven’t really explored anywhere above the 1000-point level in 8th Edition yet. So I’m going to be building towards 2000-points, but wanted to get there slowly. I’ve got most of this list actually built up anyway, and have recently picked up some more Crisis Suits in a second Start Collecting box so that I can really round things out. 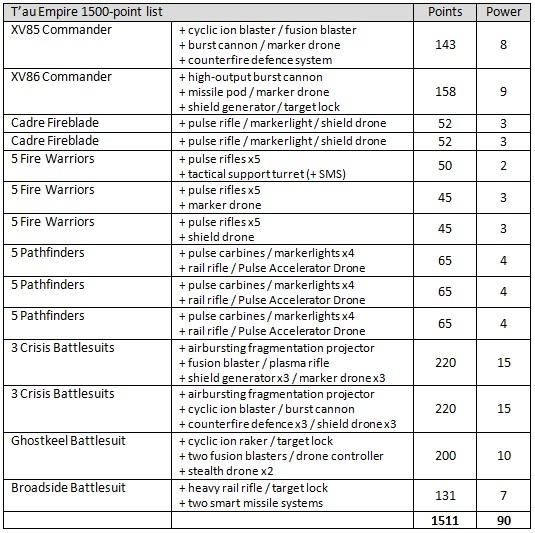 While I haven’t organised it as such in the above list, I have three detachments within this list, granting me a total 8 command points to use throughout the game – a very small Battalion, a fairly small Outrider, and the real meat of the force contained within the Vanguard, which itself covers more than half the total points. I like this list because it feels like it puts the battlesuits at the centre of things, rather than the troops. 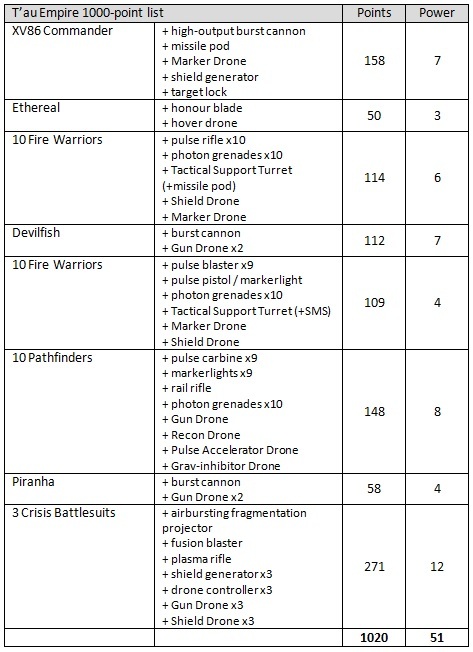 The Pathfinders are there for Markerlights, mainly, though as there is the potential for redundancy here, especially since there are also six Marker Drones in the list, having the pulse carbines will be useful as well. The thought is that the Warriors will form a gunline, with the Fireblades peppered among them alongside the Pulse Accelerator Drones, which will fly off at the start of the battle to aid the pulse rifles of the Fire Warriors. While I’m on the topic, I really like building Tau armies that use Fireblades as a cheap utility HQ, freeing up another HQ slot for a fancy Commander that can go off and do his own thing. I freely admit that I may have been seduced into including the Broadside simply because he looks amazing. The heavy rail rifle reminds me of a longer-ranged dark lance, and I so often whiff on the damage rolls and end up getting just one point of damage that I’m invariably wary of such things now. However, the Bork’an Sept Stratagem does allow for a re-roll on random damage like this, so I suppose that will be useful! The Ghostkeel, so far as I’m concerned, is a bit of a distraction carnifex, and I’m not particularly fussed as to what happens to it. 200 points is an expensive distraction, for sure, but it is a very pretty model, so I’m sure it’ll draw a lot of attention. Keeping the drones around will give any shooting attacks -2 to hit, so it could very possibly just walk (fly?) up the table and threaten virtually anything, firing six shots from the Cyclic Ion Raker from 30 inches away, and the Target Lock will allow for it to keep moving and firing that heavy weapon with no penalty. Add in another two shots from the fusion blasters, and it should take a lot of the heat off the other stuff I’m bringing! I feel like I’ve been on a bit of a pendulum swing for 8th Edition so far, from building armies without a tremendous amount of thought for the CPs, to agonising over how I can get that third Battalion in there for the additional points. 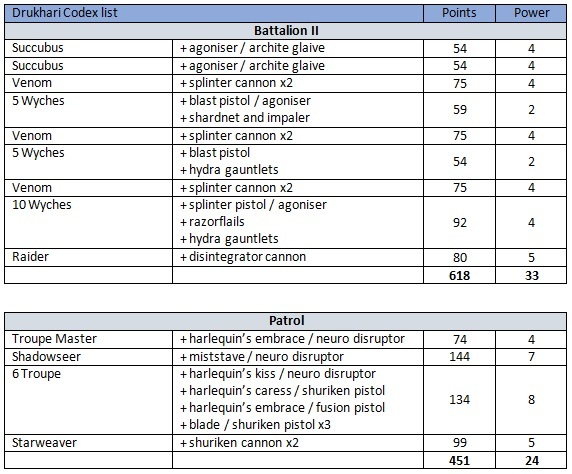 I think the Drukhari codex has seen the apex of the CP struggle, and I’m now getting a lot more conservative again – or, I should say, I’m back to building the kind of armies that I want to build, and not adding in an entire Spearhead detachment just because I want to add in a single Broadside. Anyway! 8 command points should be a fine number, especially if I’m sticking with the Puretide Engram Neurochip. There aren’t a tremendous amount of stratagems that I find myself wanting to use, after all. While in my first game, I didn’t use a lot of them because I was concentrating on getting the units to do what they’re supposed to do, I think on the whole there are some fairly underwhelming stratagems contained within the book, which I guess might be where a lot of folks are coming from with thinking it underpowered. There are a small handful of stratagems that I can see myself using, such as Repulsor Impact Field or Uplinked Markerlight, but on the whole I find them really quite situational, and also very specific as to the units they affect. Maybe having underpowered stratagems is a way of balancing some of the tremendous firepower that the Tau can bring to bear in a battle. At any rate, those are my rambling thoughts after my first game with the Tau! 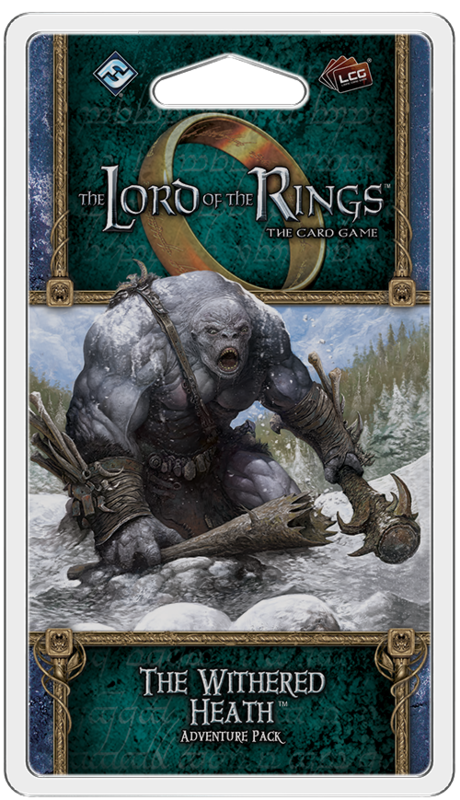 It’s been a while since I’ve done a game day blog, but it’s Tuesday, and there’s some really cool games news been announced, so I thought I’d write a little something talking about my favourite game, Lord of the Rings LCG! The Wilds of Rhovanion was announced what feels like ages ago now (well it was four months back), and I was beginning to wonder just what the plan was for Lord of the Rings these days. Well, it looks like we’re still in for some wonderful content going forward, thanks to yesterday’s announcement of the eighth cycle for the game. Journeying through Middle Earth on the eve of winter ticks a lot of boxes for me, make no mistake. Winter-themed fantasy is always a plus, and this particular quest is putting me in mind of the classic The Redhorn Gate, so I’m really chuffed! The adventure pack seems to involve searching for a drake, to prevent any calamity falling the Haradrim tribe we’re trying to relocate. 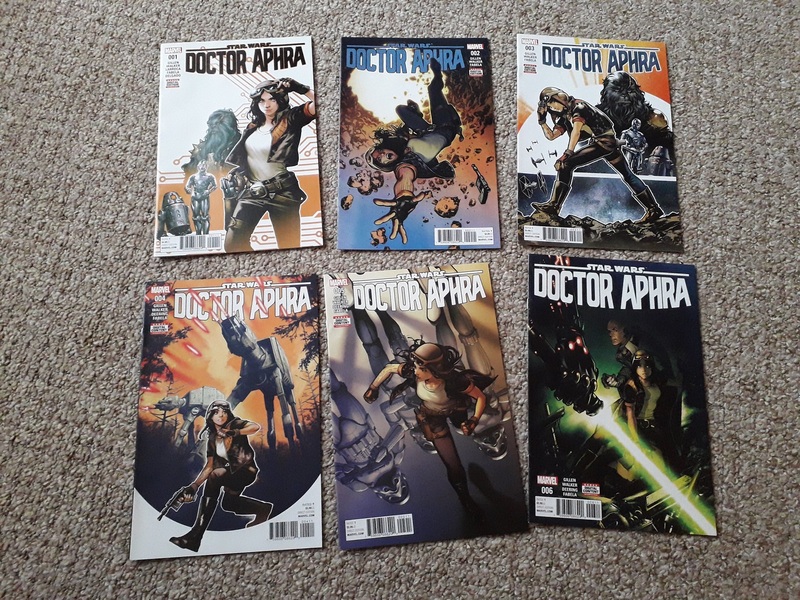 It sounds a bit odd, but I love it all the same – the focus is on something a lot more heroic, in many ways, without being all about the big boss fights. 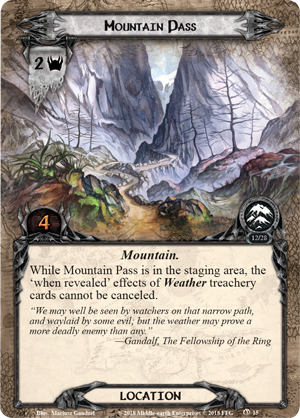 The weather is an important part of the quest, which I really like, as it’s something that has been talked about in years gone by in terms of adding weather cards to current quests to help mix things up. So that should be a nice addition! 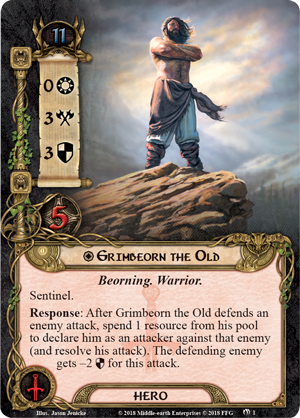 As always, the art is beautiful, and we’ve got a real sense of LotR history here in getting Grimbeorn the Old as a hero! 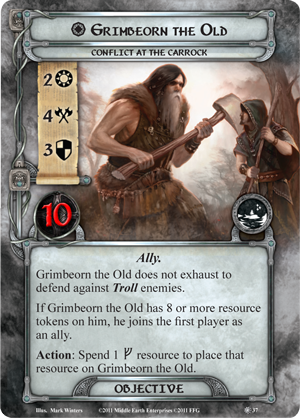 We last saw him in Conflict at the Carrock as an objective-ally card, so it’s really cool to get the big man as a hero to play in other scenarios now, as well! His ability is also really good, allowing him to attack back when he defends an attack. It’s always made sense to me that characters should be able to do both, as they’d be both defending and attacking as part of the same action, surely? 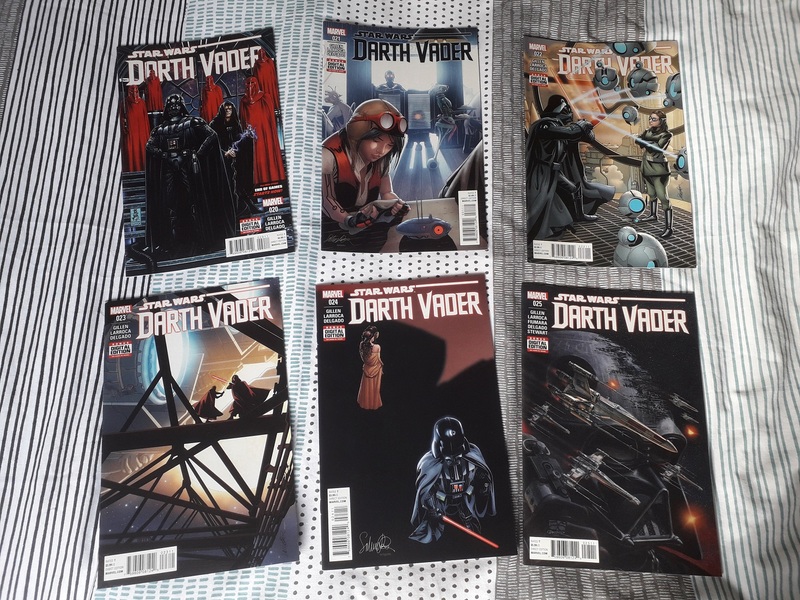 Splitting these up has always really detracted from the game for me, but there we go. I’m really happy to be seeing some more announcements for this game, and I’m looking forward to getting into the Wilderlands soon! I mean, these Idoneth Deepkin miniatures look incredible. I was keen as all hell to get myself some Daughters of Khaine, but the incredible weirdness of these deep-sea elves has just got me, man!! They’re amazing!! 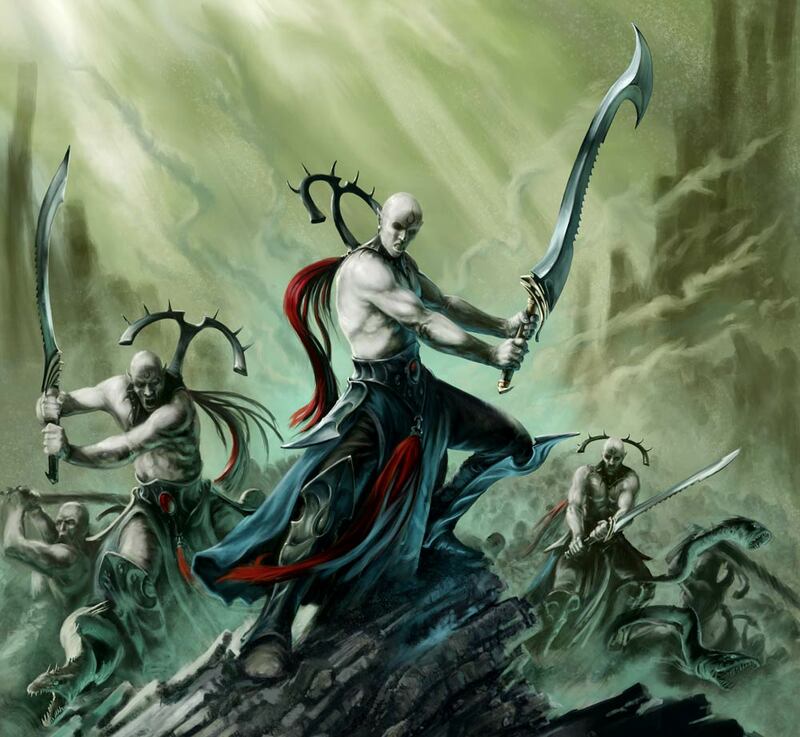 I’d been planning to get some for either Wyches or Incubi for my Dark Eldar, but now I think I might just get some for their own sake! I am utterly captivated! And finally, it’s the big daddy of the Alpha Legion himself! Absolutely no surprise whatsoever after the rumour engine from back in the day, but even so, it’s real nice to see the full model at last. So much good stuff coming out of Games Workshop right now!!! 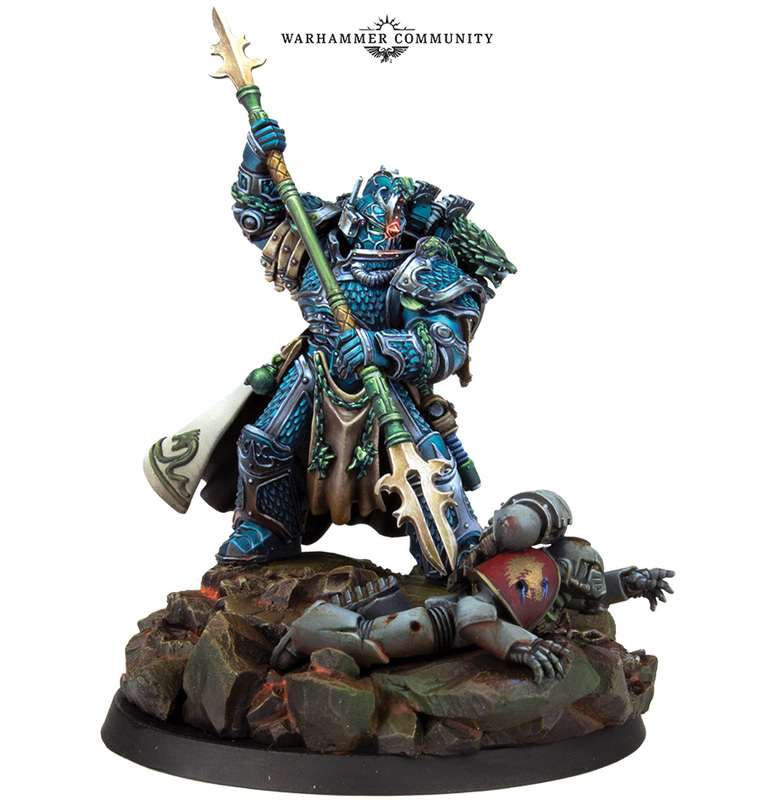 Author spalanzPosted on April 9, 2018 Categories WarhammerTags Age of Sigmar, Alpha Legion, Alpharius, Horus Heresy, Idoneth Deepkin1 Comment on So much new goodness!